I have a confession. Despite proudly claiming the geek label, I am not a Marvel movie fan. I’ve tried–I’ve seen the first installment in most of their hero franchises, and…never gotten into them. Except: I enjoyed Dr. Strange, and I enjoyed Guardians of the Galaxy. I still never got to theaters for Guardians 2, and only finally saw it very recently. But it was fun when I finally got to it! The Guardians franchise seems to be a collection of B or C-level superheroes, and that’s part of why it works. 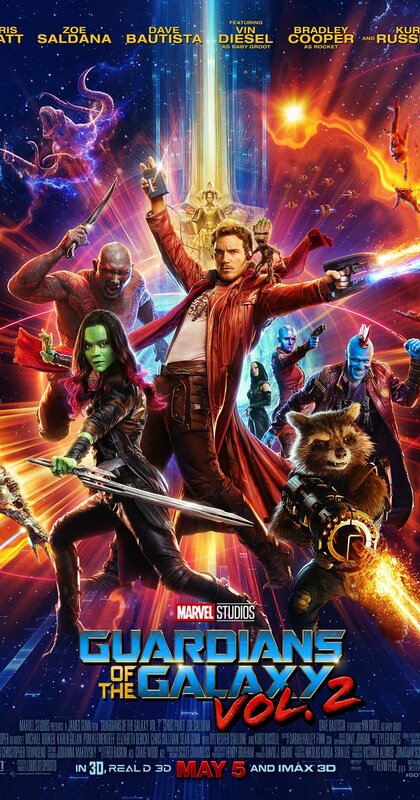 The misfit group includes “Star Lord” Peter Quill, Samora (played by the reliably awesome Zoe Saldana, formerly Pirates’ Anamaria and Star Trek‘s Uhura), big muscly social-filterless Drax, (sort of) raccoon Rocket and (sort of) tree Baby Groot. Peter, who had a human mother, has always wondered about his possibly-alien father. Well, while the gang is trying to escape the creepy gold soldiers of the Sovereign race, the mysterious Ego shows up to rescue them. He reveals himself as Peter’s father and brings them to his planet…where things are a little too good, while being a little creepy too. I like the emphasis on the group–no one person, not even Peter (the apparent leader) or Samora (the smartest, most rational one by far) comes across as the main character. It’s a true ensemble, unlike most superhero movies. (And something like the Avengers kind of jostles a lot of main characters, so it’s almost the opposite…) I think these movies work for me because heroes can sometimes be bland–they have to be, well, heroic, and generic enough for broad swathes of people to relate to them. That’s not always how it happens, but it is a thing for the hero to be the least individual character, surrounded by quirky interesting supporting characters. And Guardians is ALL quirky interesting supporting characters. So it’s a lot of fun characters who interact with a lot of humor. But this movie also delved into the deeper feelings of some of the characters, most notably Rocket (as noted), and Samora’s relationship with her estranged sister Nebula (played by an unrecognizable Karen Gillan, who was also Amy on Doctor Who). It was a well-done balance, between broad humor and more meaningful moments. The one thing I didn’t like as well was how cheap life was in places in the film. There are several scenes of large-scale (non-bloody) carnage, implemented by characters who are either deemed heroic or at least acceptable allies for the heroes. It was a little more jarring that the violence is in a humorous movie that didn’t stop being humorous while people were dying. They weren’t nice people, granted, but that’s not really the point. So that was not so deftly done. But despite a little moral outrage on that point, I still enjoyed the movie greatly. 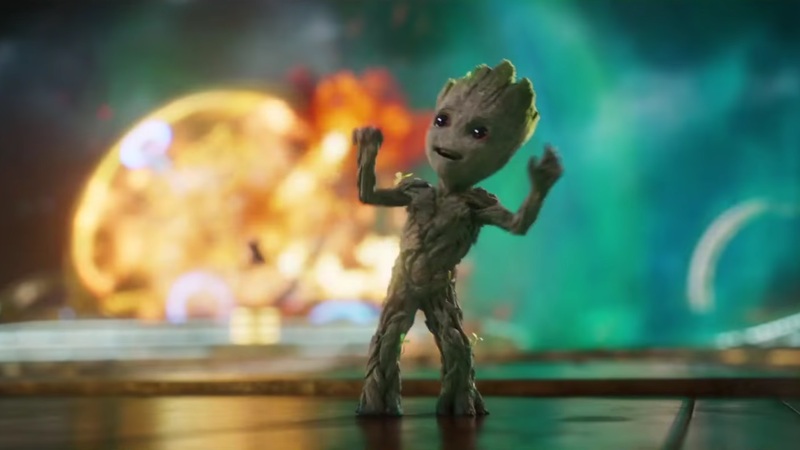 And Baby Groot is every bit as adorable and funny as everyone reports! I’m the same. Not really a fan of the superhero movies, but I do enjoy Guardians. I recently saw Guardians 2, myself. I think what I like about is the style of humor. Just… kind of odd and off. But makes me laugh. A lot like the new Ghostbusters movie.